Hey Reno, your football team is on the brink of doing something special. Nevada went to Hawaii and played its best game in years (7:20). Now, the Wolf Pack prepares for a significant home matchup with the Aztecs (13:00). The Mountain West Wire’s lead men’s hoops writer, Eli Boettger, discusses the highly touted Wolf Pack, the state of the Mountain West, and what to make of Nevada’s exhibition loss to Washington. 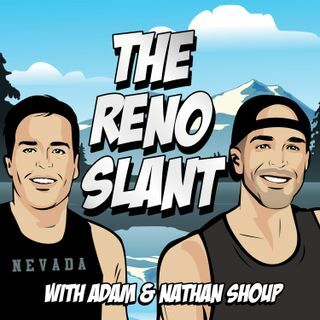 For slants, Adam and Nathan talk scary movies, No shave November, and onesies ... Maggiori informazioni (1:00:00).